Unique Finnish handcraft. 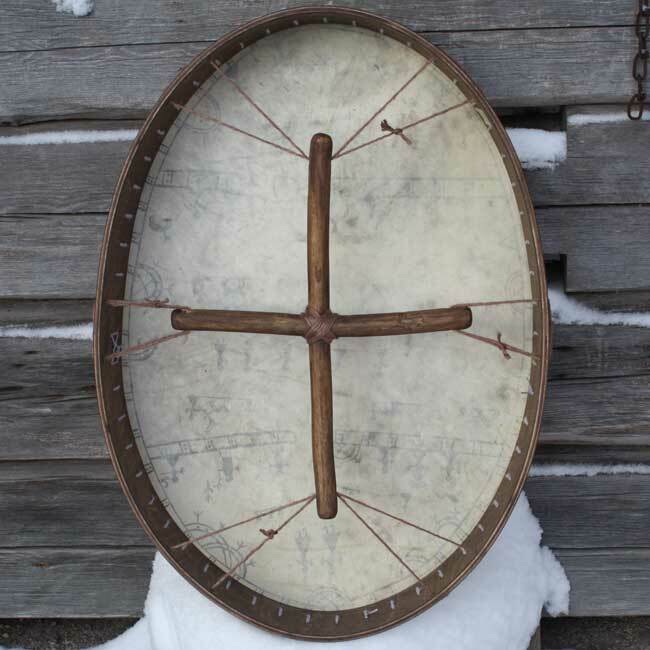 The frame is bent from waxed 7mm Finnish birch ply wood. 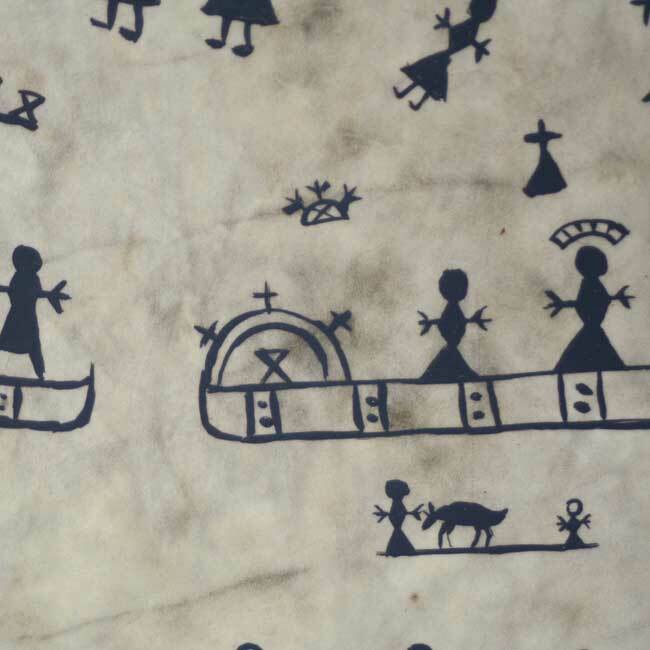 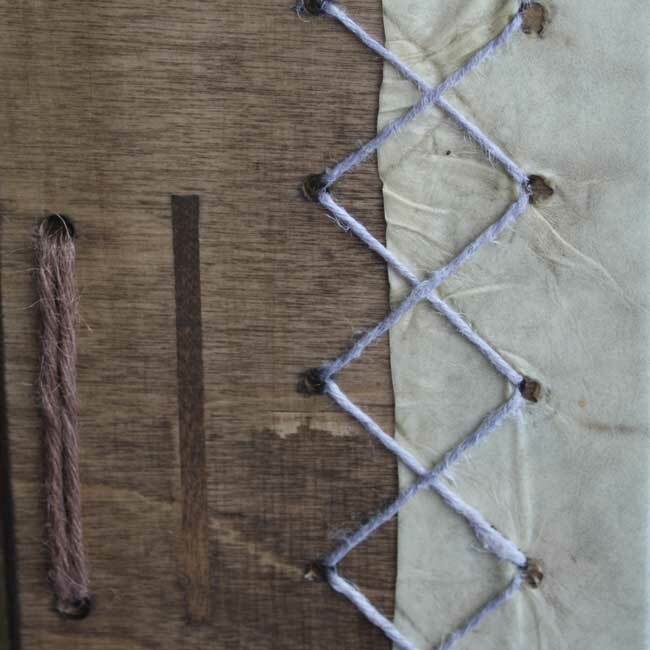 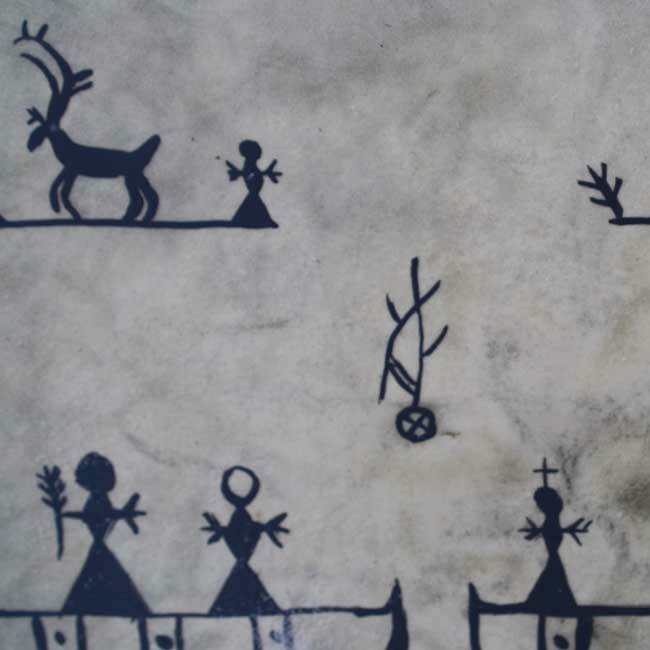 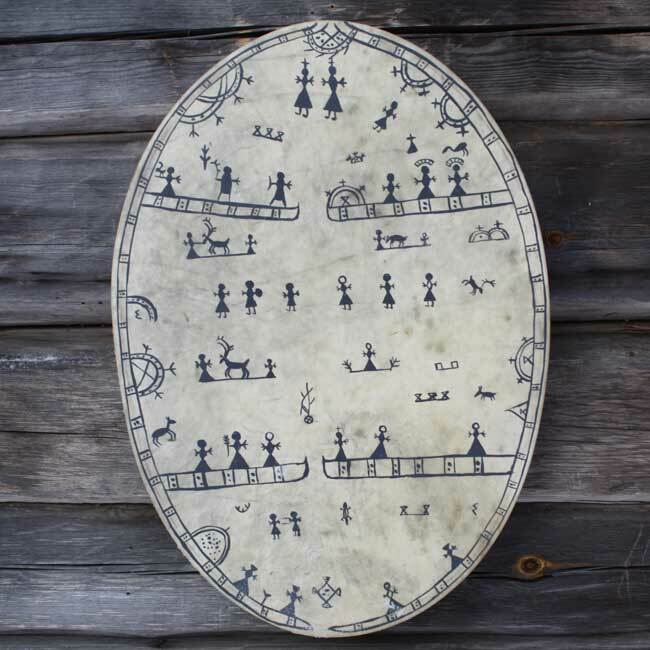 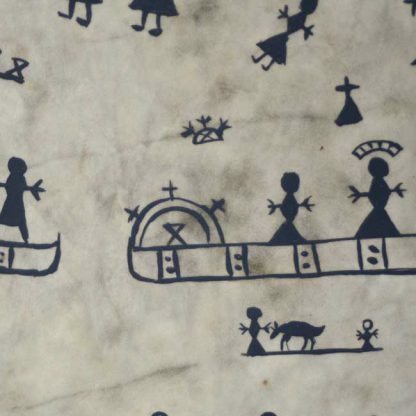 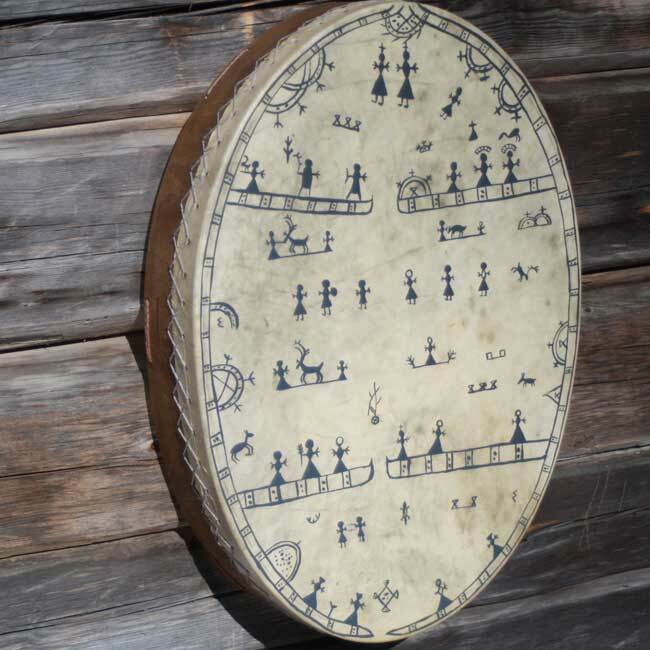 The hide is Finnish reindeer with ancient Sami Drum symbols. 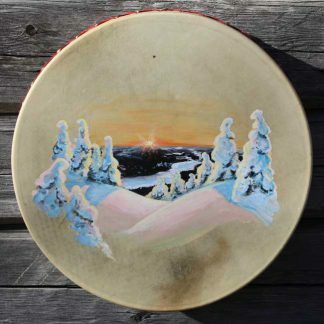 A felt -tipped drumstick is included.